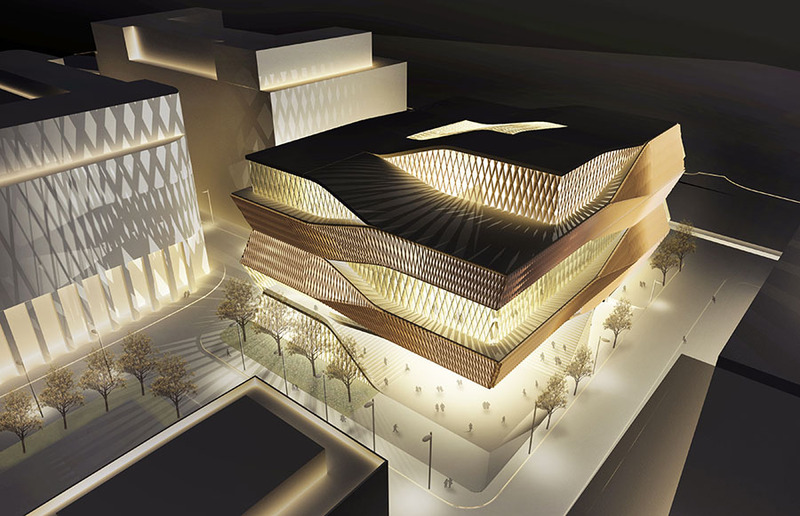 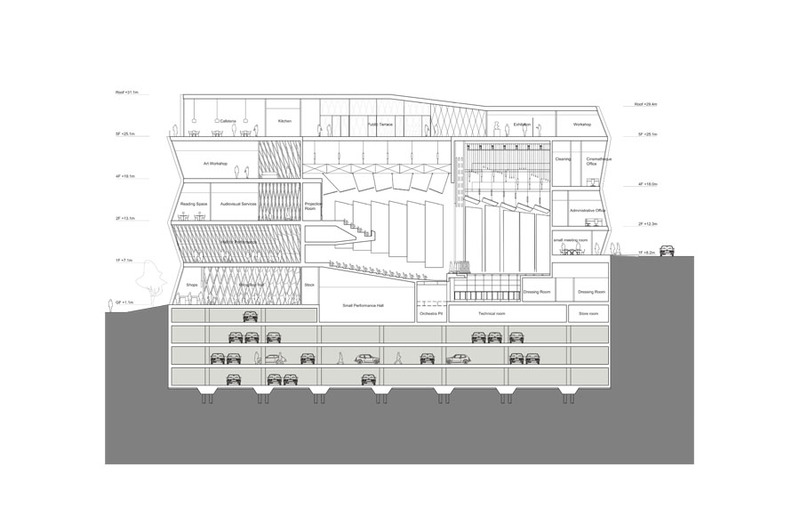 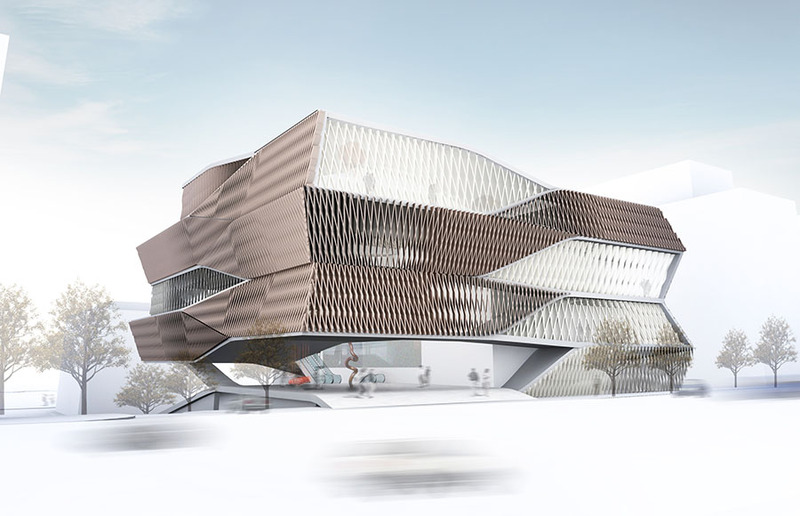 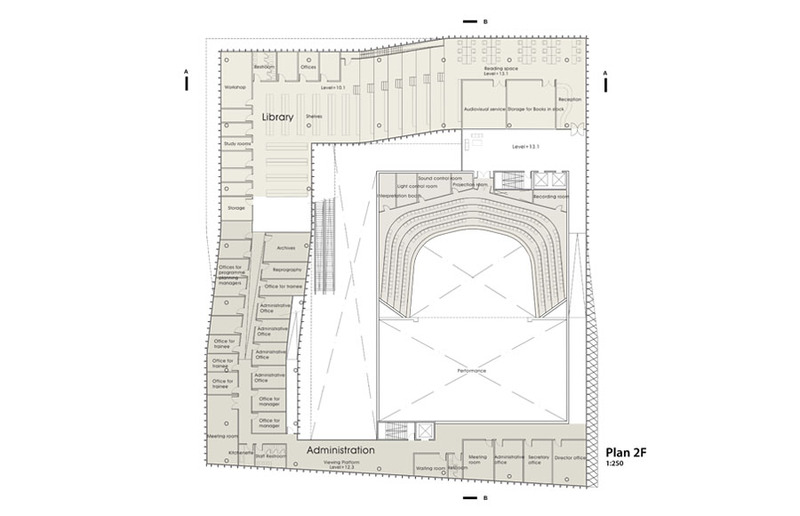 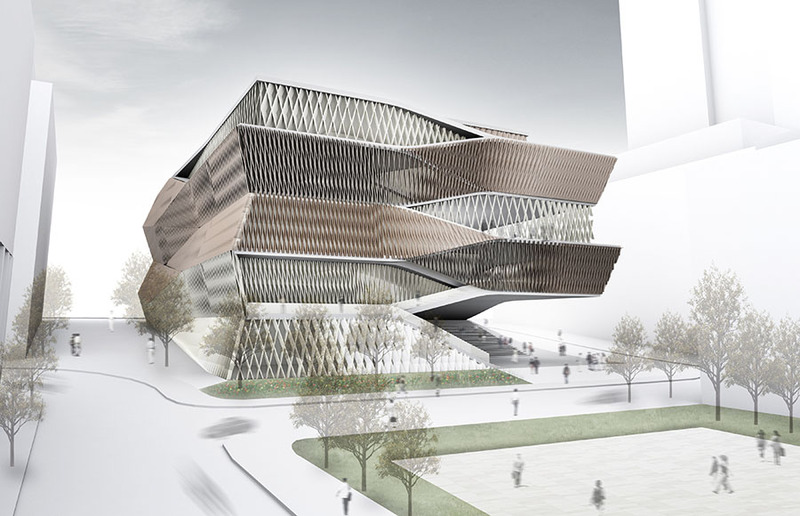 This is a proposal for 25,000 m2 art centre which contains theaters, cinema and exhibition spaces. 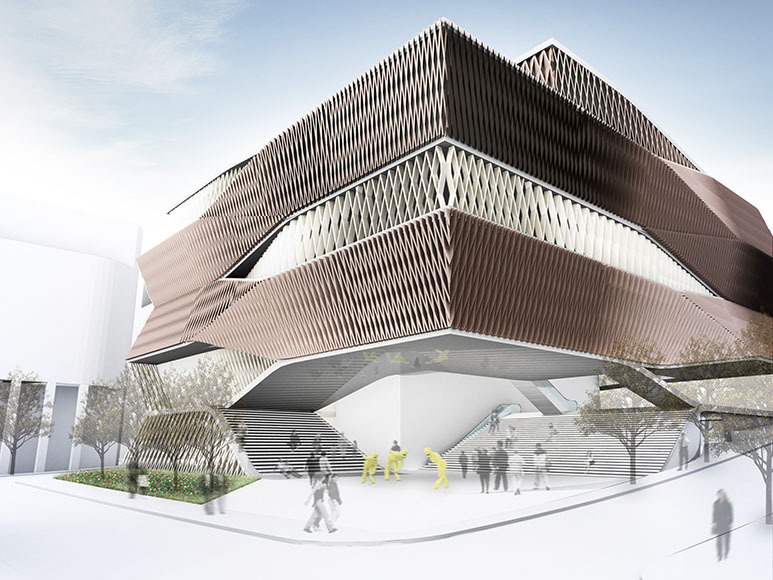 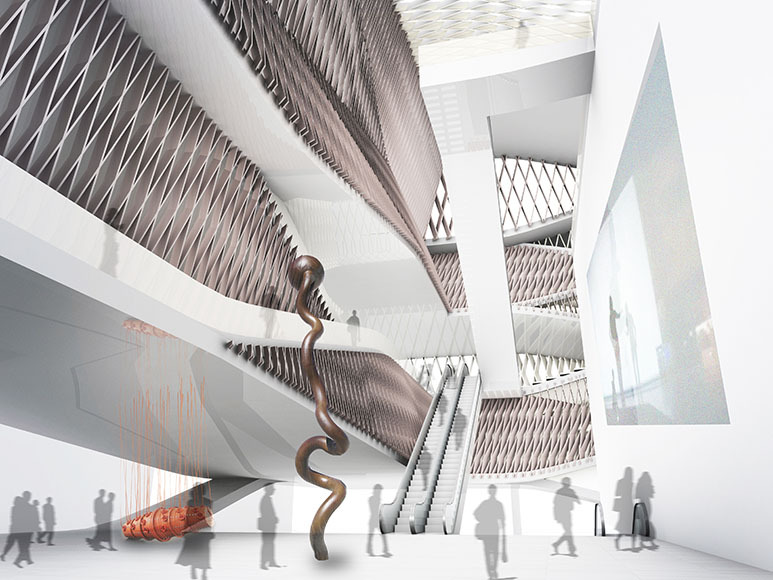 The design aims to create a interstitial building where cultural realm and public realm are dynamically intertwined therefore bring the public closer to the contents of the building and allow spontaneous participation and interaction with the activities within the center. 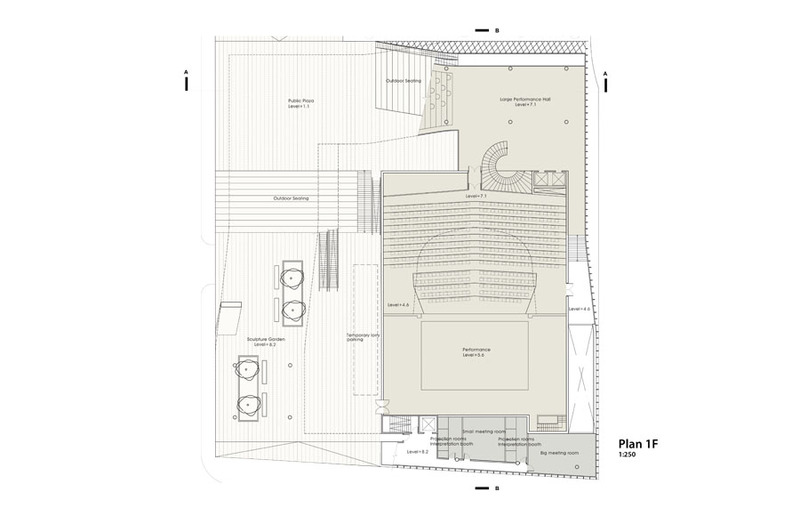 Our strategy for incorporating the public spaces within the building was based on the idea of courtyard house where the open space is interiorized as semi public space which offers intimacy and comfort. 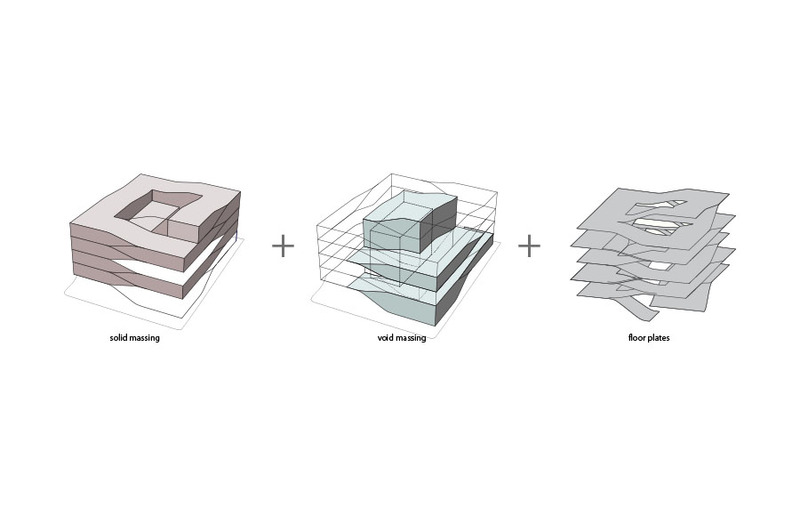 In our proposal, we have expanded the idea of courtyard into three dimensional one where linear massing and void spaces are intertwined vertically as well as horizontally, creating interlocking spaces of interior and exterior that functions as courtyards. 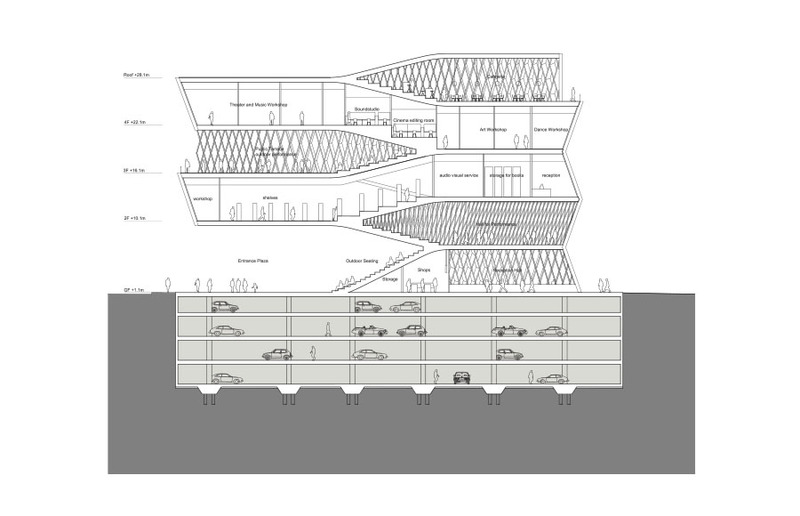 This layered and interlocked public spaces will act as attractors for the public by providing shaded public spaces that they can freely access while surrounded arts and culture.